Sometimes you deserve to get a big head over your performance. This player has a huge head, and you'll love it as it bobs up and down. 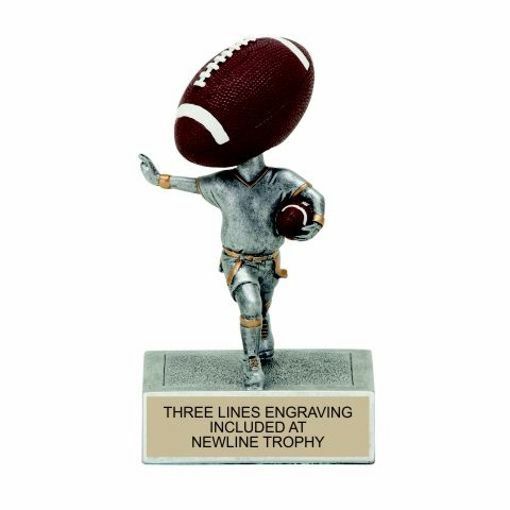 Our signature series resin "rock 'n' bop" flag football bobble trophy can be personalized for FREE.